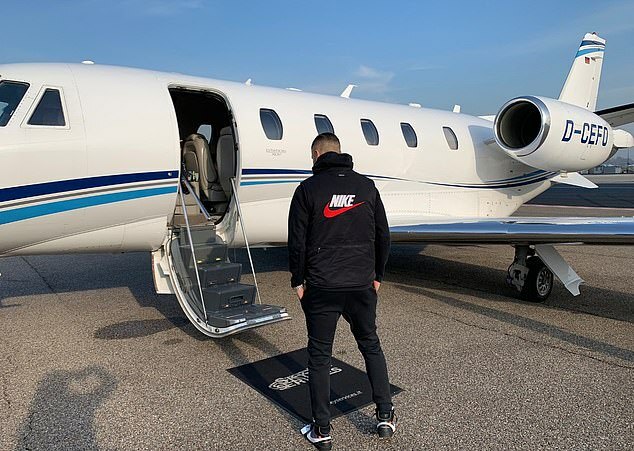 With the uploading of a picture showing himself boarding a jet bound for London, Inter Milan striker Mauro Icardi sent a portion of Chelsea fans into meltdown with transfer radars hitting overdrive. 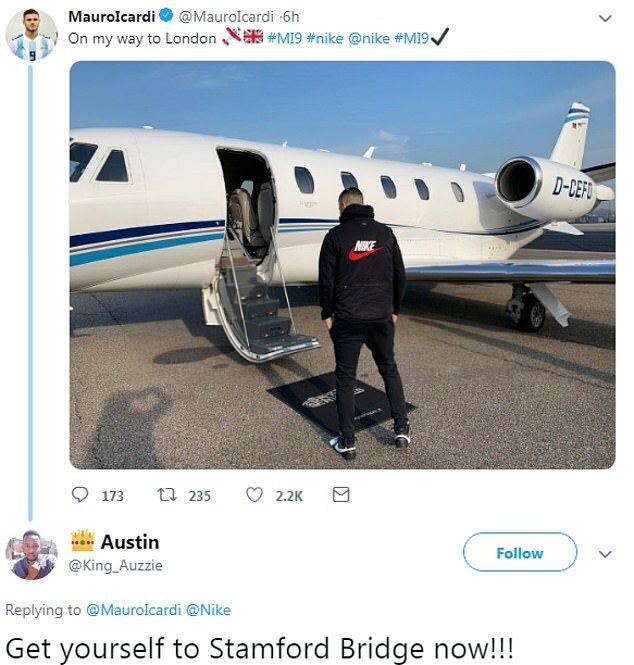 Icardi posted on social media and was instantly bombarded with replies from Chelsea fans, desperate for their club to recruit a striker of his elite calibre. The Argentine, who has a reported £98million release clause in his Inter contract, has been one of a host of names linked with Stamford Bridge in recent months. Chelsea could be on the hunt for a proven goalscorer when the January transfer window opens, following the continued struggles of £75m man Alvaro Morata. Icardi has hit the back of the net 13 times for his club this season, and was the hero when Inter pulled off a late Champions League victory over Mauricio Pochettino’s Tottenham at the San Siro. The striker’s wife Wanda Nara recently fanned the flames when she took to her personal social media accounts to hint of a new deal in Italy. ‘She wrote on Twitter: ‘It 00:30 at night and I am reading the pages of the contract renewal,’ – though nothing was later confirmed by the Italian club.